Today I’m here to share the Chesapeake Bay Mind & Body collection with you! Normally I buy candles that have scents for each season, such as cinnamon and pumpkin for the fall and floral scents for the spring. However, I’ve been interested in trying out candles with scents for wellness for the mind and body! 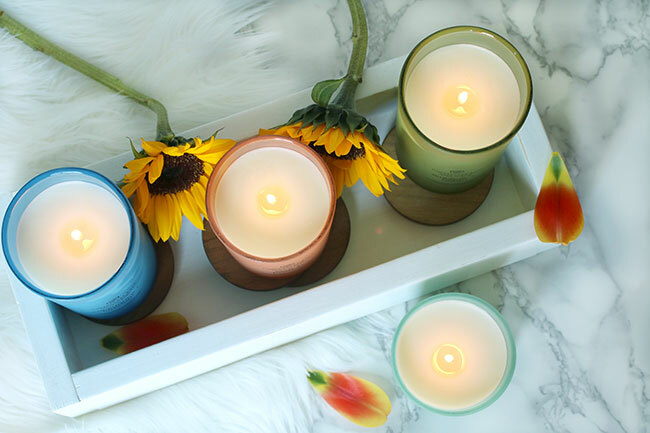 These candles were inspired by the ever-evolving wellness lifestyle trend that includes aromatherapy, yoga, organic products, healthy diet and outdoor adventures. The Chesapeake Bay Mind & Body collection has helped me to pause and find a moment of stillness. Which, is really hard to do when you have a busy life and so many demands! 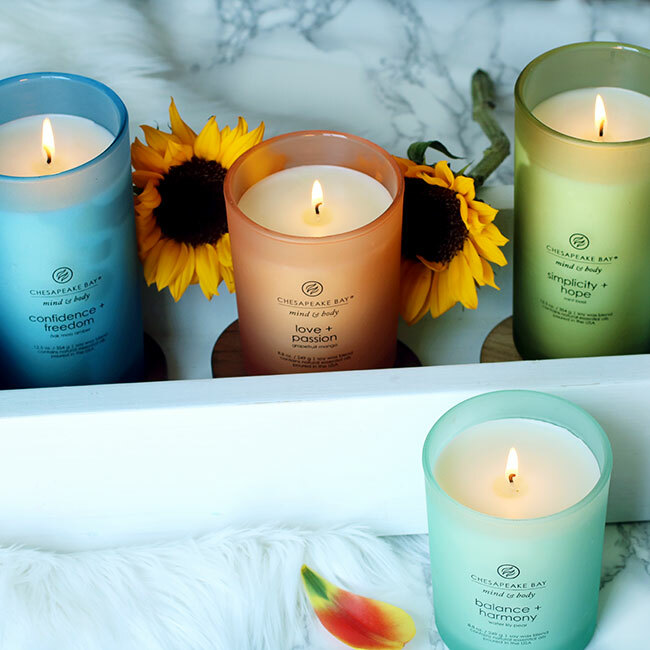 It is nice to enjoy the simple pleasure of the fragrance in each unique candle in this collection! 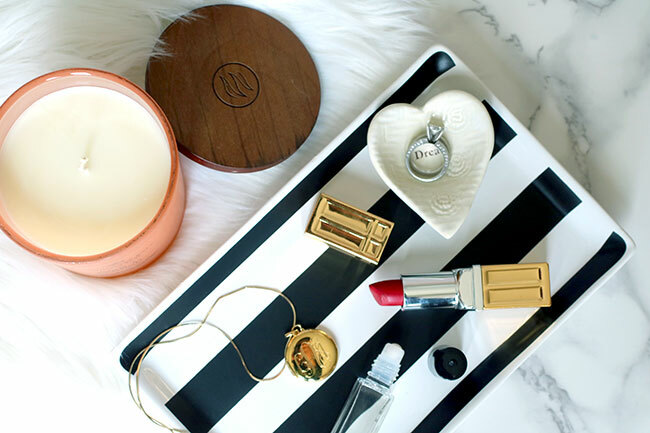 Now I’ll share some of the scents from this collection and how I’ve used them in my own home. 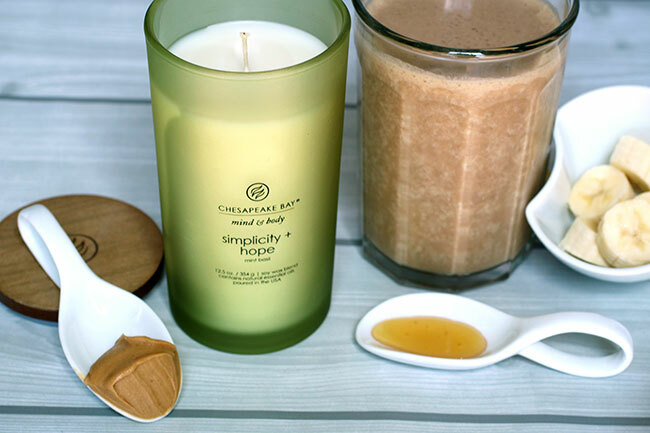 The Simplicity + Hope candle has a Mint Basil scent. The natural essential oils it includes are orange, terpenes and patchouli. 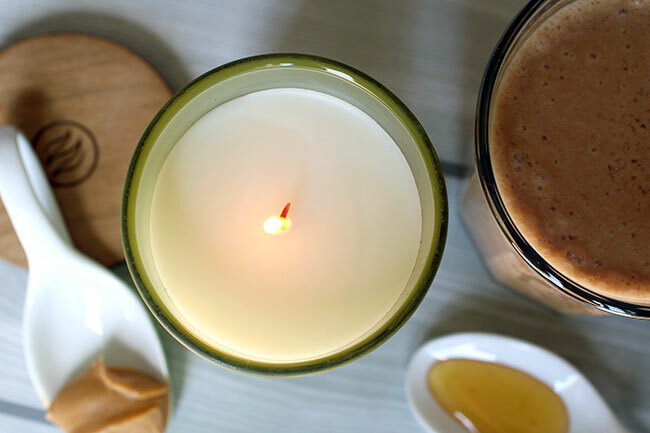 I enjoy this candle with a delicious homemade breakfast smoothie in the quiet stillness of the morning, when the day first starts. The scent Simplicity + Hope gives is an invigorating, herbal first impression of mint leaves and lime, which elevates spirits like a good melody or kind words from a friend. Lavender and rose bloom in harmony amongst aromatic eucalyptus celebrating the beauty and simplicity of nature. The refreshing and hopeful scent of green foliage and spearmint revive the soul. This candle has a glass color of green. Green is the color of hope and also relates to nature and life. It helps brings us back to the basics and a simpler way of life. 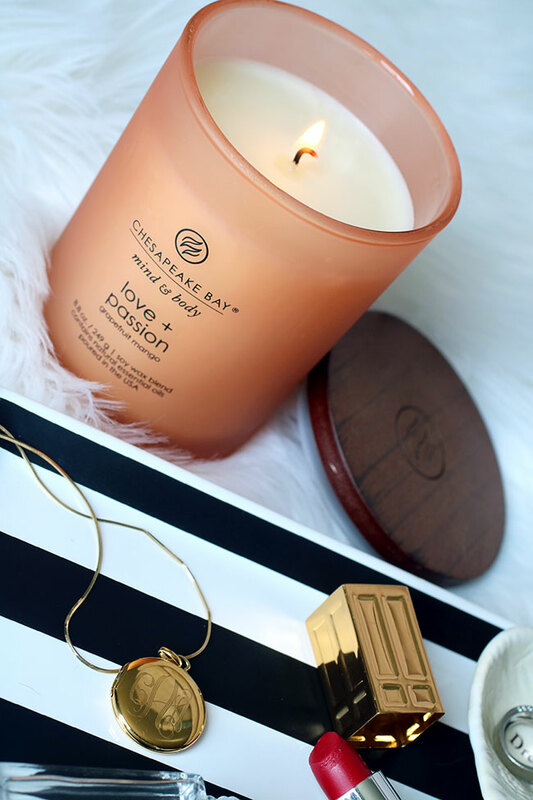 The Love + Passion candle has a Grapefruit Mango scent. The essential oils it includes are orange and lemon. I enjoy this candle as I’m getting dolled up to go out on a special date night with my husband. The scent Love + Passion gives is of young love blossoms with blushing peach nectar, sparkling orange and tart grapefruit. There are notes of tropical mango and juicy berries that are wrapped in a delicate floral bouquet capturing the alluring feeling of a new romance. Creamy coconut, vanilla and sheer musk adds softness and poetry to this this colorful voyage of love and passion. This candle has a glass color of coral red. Coral red is vibrant and full of life. A reference to love and passion, coral red also carries a feeling of power and seduction. The Confidence + Freedom candle has an oak moss amber scent. The essential oils it includes are copaiba, fir, lemon and patchouli. I enjoy this candle during my wind down Yoga session that I do a couple of times in the evening each week. The scent that Confidence + Freedom gives is a crystal marine and shimmering ozone top note that carries its strength like a free-flowing river. Quietly weathered like a smooth water stone, aromatic lavender and sage are brushed by white cedar and oak moss. Intensified with warm amber, oriental spice, and sensual patchouli, the fragrance reveals a touch of elegance and confidence. This candle has a glass color of dark blue. Dark blue is the color of the ocean, provides a feeling of freedom and the excitement to discover the unknown. 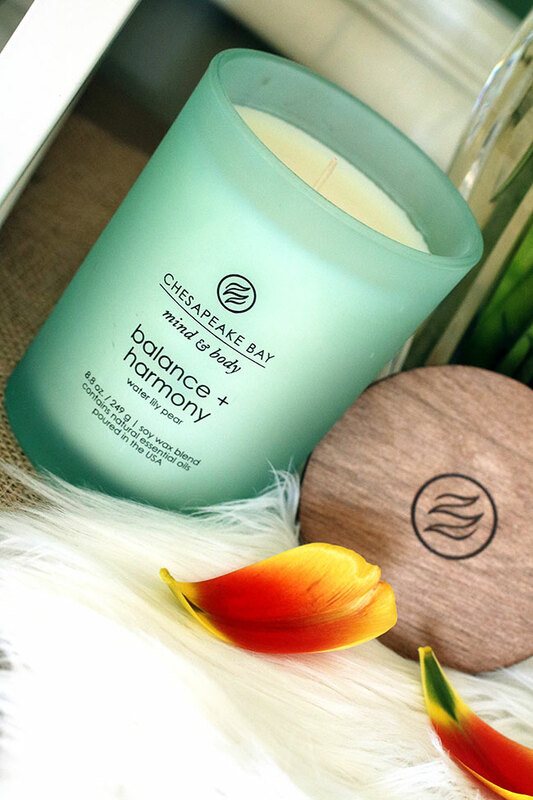 The Balance + Harmony candle has a waterlily pear scent. The essential oil it includes is orange oil. I enjoy burning this candle throughout the day in our home or when we have company over. I keep it on the console table in our main room and have the candle lit next to a beautiful bouquet of fresh flowers. The scent that Balance + Harmony gives is a combination of juicy tropical fruits, ripened peach, and delicious pear rises through the soul of this harmonious fragrance. Fresh petals of rose, violet, waterlily, and cyclamen dance around watery greens and creamy coconut. 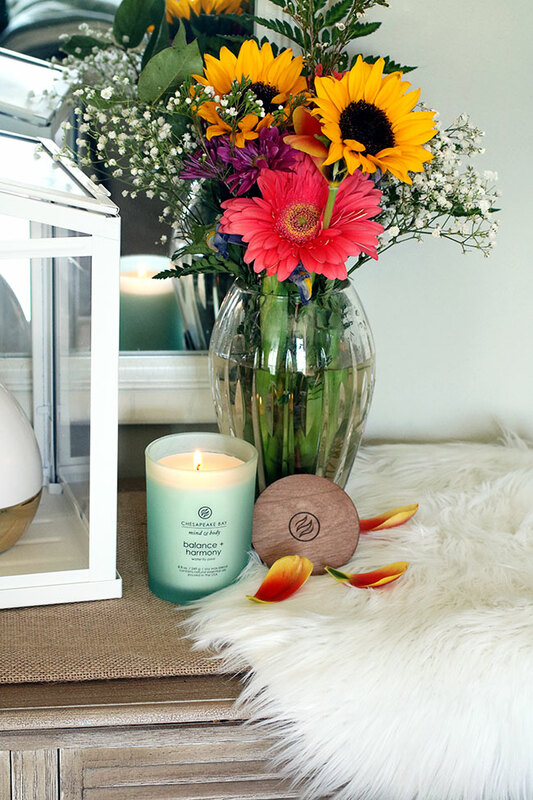 Add a sense of balance to your interior and bring the outdoors in as sandalwood fuses with the green foliage and subtle rosewood. This candle has a glass color of aqua. Aqua is a color that is calming and has a natural tone reminiscent of a lagoon. Each candle has a different color of frosted glass, which is described above. This soft colored frosted jar allows the light of the flame to shine through when burning. Natural wooden lids also add a special touch to the jar candles and diffusers, making these items wonderful gifts. Who would you gift these candles to? Which one is your fave and where would you use it at in your home? 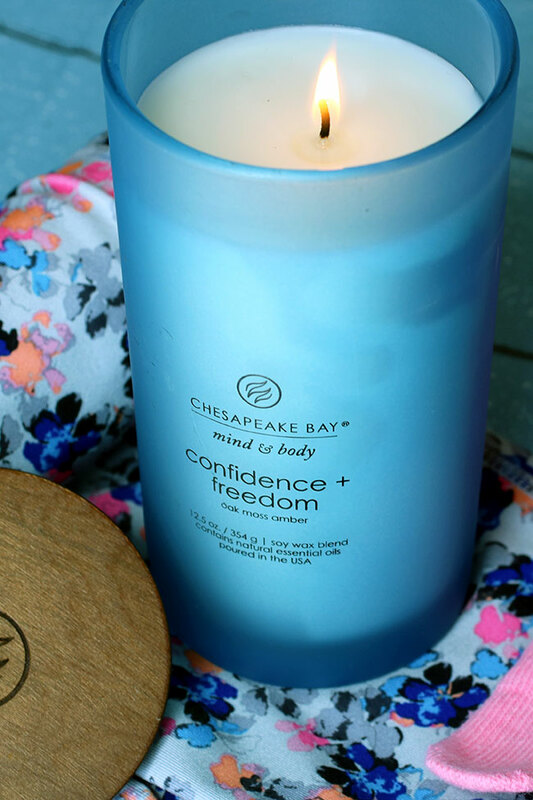 This post is sponsored by Mind & Body Chesapeake Bay Candles. All opinions expressed in this post are my own.